Room of Art are based in Handewitt, near Flensburg on the border between Germany and Denmark. For many years they have been dealing in authentic design classics, specialising mainly in fine Danish furniture from the golden era of the 1940s to the 1970s. 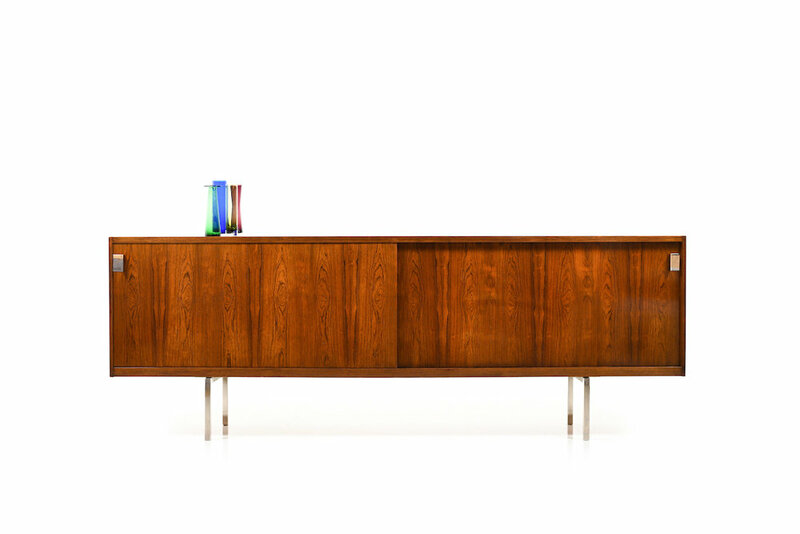 They stock wonderful pieces such as this rare rosewood sideboard by Dux Sweden – as well as pieces by Hans Wegner, Børge Mogensen, Louis Poulsen and Verner Panton. They are careful to ensure everything they sell is authentic and original, in good condition and ready to use. As well as furniture, they also have some great period rugs, textiles, ceramics, glass and artwork.